AUGUST 17, 2000 LAKE MARY, FL– JENSEN® announces the launch and headline acts for the launch of its premier JENSENERGY™ Tour 2000. Set to canvas the nation from September 28 to November 4, JENSENERGY™ celebrates the 21st century’s daring, innovative spirit by presenting a coast-to-coast tour of today’s hottest electronica artists and interactive technology. JENSENERGY™ celebrates the high-energy dance culture phenomenon and its synergy with new technology with performances by headliner BT (aka Brian Transeau) and special guests Hooverphonic. Chart-topper BT and Epic’s Hooverphonic were chosen specifically for their sonically-adventurous sounds. JENSENERGY™ is also proud to announce that BT will be debuting his live show for a national audience on the tour. The JENSENERGY™ Tour 2000, created by Thirty-Three Productions, Inc. will route through major venues in cities including: Atlanta, Boston, Chicago, Cleveland, Dallas, Denver, Detroit, Kansas City, Los Angeles, Miami, New Orleans, New York, Philadelphia, Portland (OR), San Francisco, Seattle and Washington (DC). The evening events will simultaneously feature the hottest technology-driven music, while showcasing the most technologically innovative JENSEN® mobile audio products and an InterAct®ive Pavilion. Hosted by InterAct®, (the multimedia gaming division of Recoton Corp.), the InterAct®ive Pavilion will encourage hands-on experience with JENSEN® mobile audio’s latest cutting edge products, video games, and other electronic sound equipment. Promotion for the tour includes national and local print ads, radio buy-ins, internet promotion and marketing, publicity and street promotion. In addition, the tour’s online element and presentation will be headquartered at the www.JENSENERGY.com site. BT (Brian Transeau) is a multi-faceted innovator with a unique approach to electronic music. The incorporation of classical, global and breakbeat influences is garnering him massive crossover appeal. His new album “Movement in Still Life” (Nettwerk America) features the modern rock hit “Never Gonna Come Back Down, ” and the critical accolades have been rolling in since its release. Entertainment Weekly gave the album an “A-,.” and the Los Angeles Times remarked that with this new release “Brian Transeau becomes the dance world’s auteur….” With sold out shows and ever-increasing record sales, it’s clear that fans agree. Belgian natives and soundtrack favorites Hooverphonic will release their third LP on Epic Records “The Magnificent Tree” at tour time. The trio’s string arrangements and Geike Arnaert’s ethereal lead vocals create an aural atmosphere that’s at once otherworldly and familiar. Often compared to such British trip-hop groups as Portishead, Hooverphonic claims their individual place by adding live instrumentation, dance-club beats, horns and unusual chord progressions. The track “Renaissance Affair” can presently be heard on commercials for the new Volkswagen campaign. As well, a track from their debut album “New Stereophonic Sound Spectacular” is featured on the JP Morgan commercials. Their hit, “2 Wicky,” was featured in the movies Stealing Beauty and I Know What You Did Last Summer. 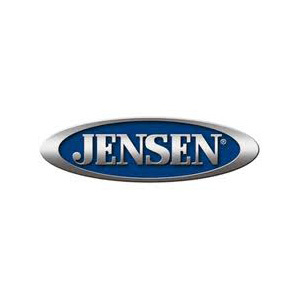 JENSEN®, InterAct Accessories, Inc. and Recoton Mobile Electronics are subsidiaries of Recoton Corporation, a global leader in the development, manufacturing and marketing of consumer electronic accessories, loudspeakers and car audio products. Recoton’s more than 4,000 products feature highly functional accessories for audio, video, car audio, camcorder, multi-media/computer, home office, cellular and standard telephone, music and video game products and 900MHz wireless technology headphones and speakers. They are sold under the AAMP®, Ambico®, AmpersandJ, AR®/Acoustic Research®, Discwasher®, GameShark®, InterAct, Parsec®, Peripheral®, Performance™, Recoton®, Rembrandt®, Ross™, SoleControl®, SoundQuest® and Stinger® brand names. The Company also produces and markets audio components, high fidelity loudspeakers, home theater speakers, and car audio speakers and components which are sold under the Advent®, AR®/Acoustic Research®, HECO™, JENSEN® , MacAudio™, Magnat®, NHT® (Now Hear This), Phase Linear® and Recoton® brand names. JENSENERGY™ promotions and additional information regarding the tour can be found at www.JENSENERGY.com. ©2019 Thirty-Three Productions, Inc. All Rights Reserved.